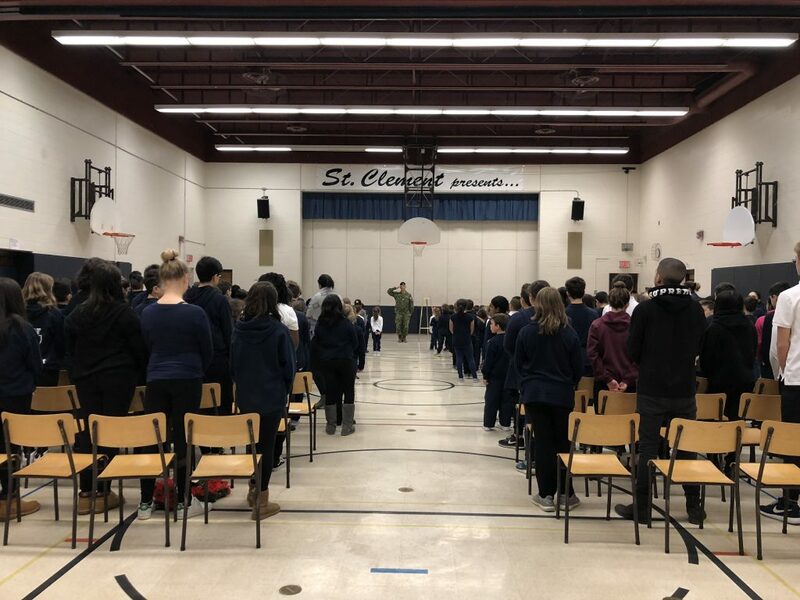 St. Clement school participated in a Remembrance Day Ceremony on Nov. 9 th to commemorate and honour those who died, and to give thanks for the sacrifices of those who came back from serving their country. Sgt. 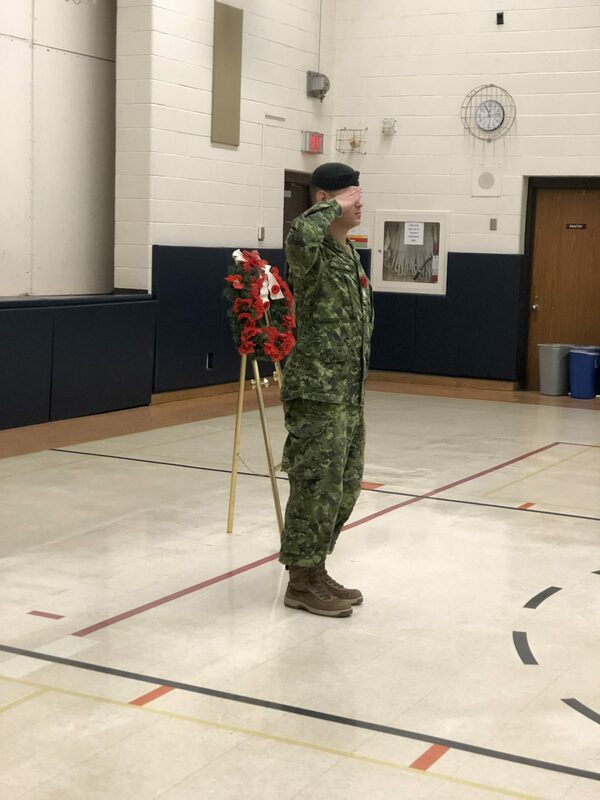 Richard Min of the 32 Canadian Brigade, addressed the school during the ceremony and later visited classes in the afternoon to provide small group question and answer sessions.